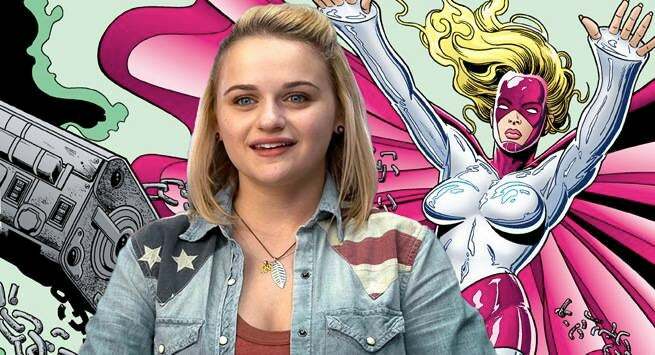 Joey King, best known for her roles in Fargo and Independence Day: Resurgence, will guest star on The Flash in October as Magenta. A teen with a troubled past, Frances "Frankie” Kane is a meta-human with the ability to control metal... but her powers come with a dangerous side-effect, causing her villainous alter ego known as Magenta to emerge. King, who also appeared in Wish I Was Here, will appear on the season's third episode. Created by Marv Wolfman and George Perez, Magenta first appeared in a 1982 issue of The New Teen Titans. Given her name and power set, she inevitably draws comparisons to the famed X-Men villain Magneto. At one point, Magenta was one of a number of characters who formed a new team of Rogues -- which could be notable, given that The Flash's third season introduces both Mirror Master and Dr. Alchemy, both members of the Rogues at various points in their careers. It may be interesting to see whether characters like Weather Witch and Mirror-Man -- characters who were part of the same New Rogues group as Magenta and who wield the gear and/or powers of "classic" Flash Rogues -- might show up in the Flashpoint timeline. Given that King is a bit of a name with a feature film career, it seems likely that they're either grooming her for a larger story, or that she's a one-off character. It's hard to know which yet, although it's been suggested that the Flashpoint portion of The Flash's third season may only be four episodes or so, which begs the question: will Magenta exists outside of the Flashpoint timeline? The Flash returns to The CW on Tuesday, October 3 at 8 p.m. ET/PT.